Our day in Saffron City hasn’t been our most successful to date. 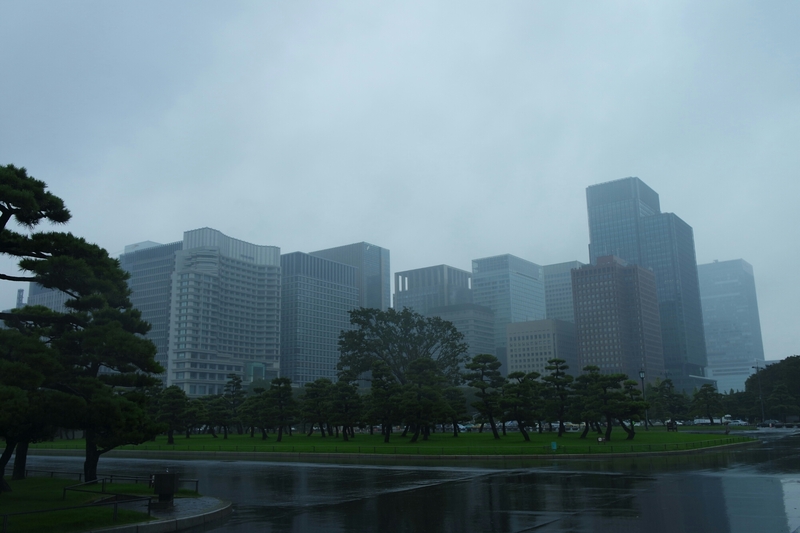 All the Imperial Palace gardens are closed on Fridays and the rain hasn’t helped us feel motivated. That darn Team Rocket is behind this I’m sure of it. Nevertheless the Palace Gardens will still be there tomorrow and there’s a couple more sites within the Marunouchi area for us to see. Thus the Saffron City post will conclude tomorrow with what I suspect will be the Saffron City Gym but for now we’ll concentrate on the other sights. 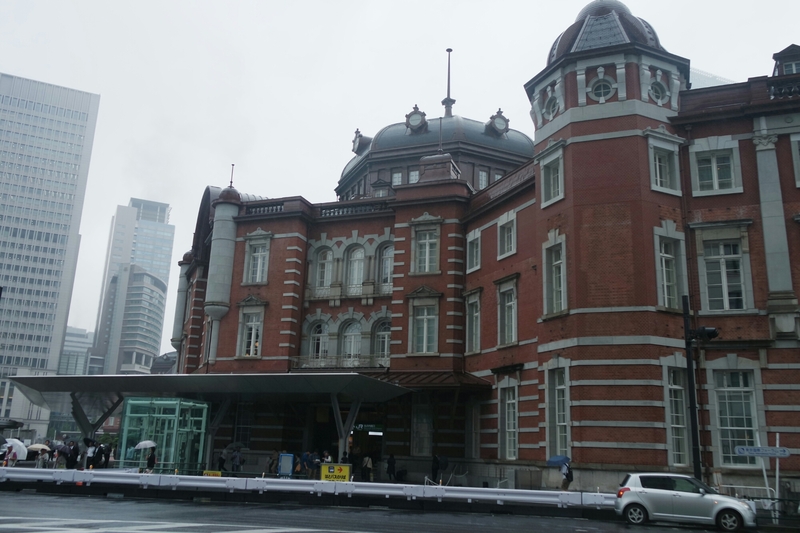 First one is one we’ve become very familiar with these days and that is Tokyo Station. 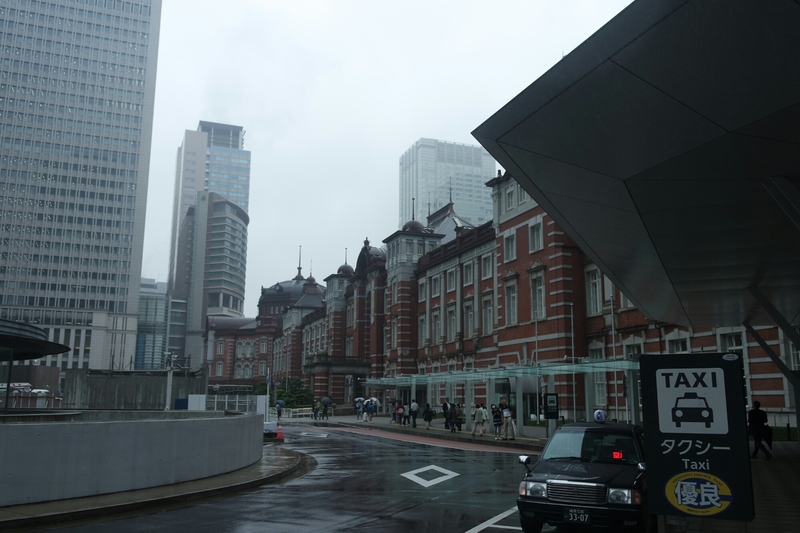 This red brick building covers quite the surface area and is a huge site on the Marunouchi map. However what’s even more impressive it the underground network that connects it to the metro system, the bus terminal and the Shinkansen (Bullet Trains) all at once, not to mention it’s multiple entrance and exit points. This is perhaps the most expansive train station I’ve ever seen, connecting Tokyo not only with the rest of Japan but also to all the many districts the city has to offer also. One particular journey of note is the Shinkansen to Osaka. This line is known as the Tokaido line and runs somewhat along the route the old Tokaido road did back in Feudal Japan between the two major cities. It was the first Shinkansen line and began operating in 1964; today it is the busiest high speed train line in the world. This line is mimicked in the Pokémon games by the Magnet Train in Gold and Silver which connects Saffron City to Goldenrod City, incidentally the real world counterparts to Tokyo and Osaka respectively. The bullet train network today connects the main island of Honshu to the southern island Kyushu, so think of it like being able to get a train from Kanto all the way to the Hoenn region. That sure would be nice… The country is still developing more lines today and soon enough even northern Hokkaido will be part of the network (so we’ll be able to shoot right up to Sinnoh too!). We got to ride one of these trains on the way to Maebashi but seeing them go through the station is incredible. 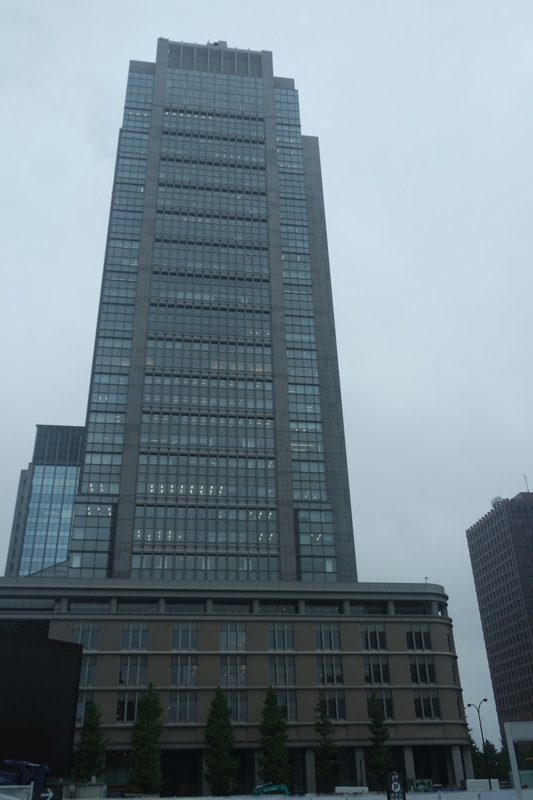 The other major site in Marunouchi we got to see is the Marunouchi building. 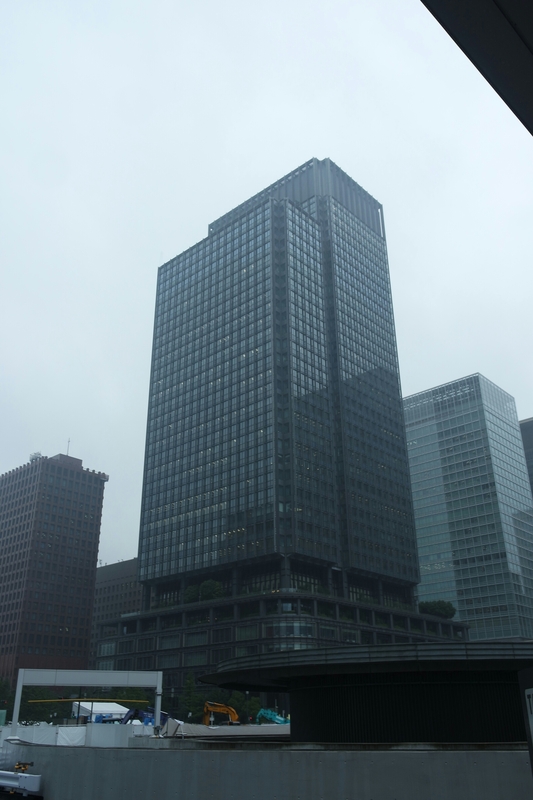 This is but one of the many buildings that have cropped up in the last 20 years in this district, which has seen huge development today as Tokyo’s business centre. This building, like many more that followed it are full of high street shops and restaurants to see, adding yet another up market shopping district to the already dramatic list. One might think this building might be the Silph Co. equivalent, Silph being the most recognisable landmark in all of Saffron City. However the building wasn’t finished until 2002, 6 years after Pokémon Red and Green were first released. In fact it’s more the buildings redesign in FireRed and LeafGreen that links this place to the Kanto region. There’s seems to be some resemblance between the two structures starting in these games and it wouldn’t be so surprising. The Marunouchi Building certainly stands as a proud site of this new area as Silph Co. does for Saffron City. Perhaps the Sony building in Ginza would be a more appropriate interior as a centre of technology, but in terms of architecture and geography, I’d say there’s a match here. 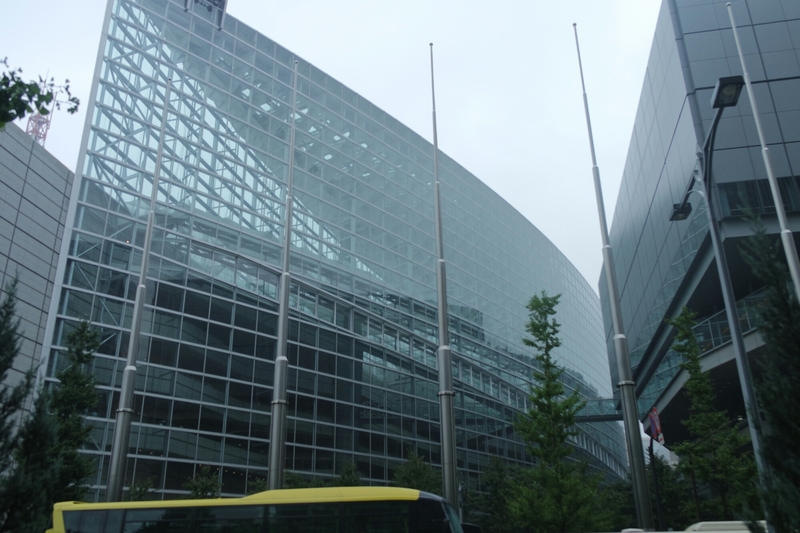 Tomorrow we hope to have better luck in seeing the Imperial Palace and finishing our time in Marunouchi properly but until then, thanks for reading.